Twenty-five-year-old Farah Yameen returned to work after the winter holiday last January feeling more deeply connected to her faith. But what she wore to work to show that faith - an Islamic headscarf, or hijab - led a co-worker to tell Yameen in front of other employees that she was "scaring people." Yameen and the co-worker, Judy Finlay, both worked at the financial aid office of the University of Toronto faculty of law, a faculty that prides itself on the courses it offers on Islamic law and the fact that 30 per cent of its students are visible minorities. It is yet another case of offensive, ethnically-charged statements occurring on U of T's usually tolerant campus. Yameen, who worked part-time as an office assistant, was getting ready to leave after work on January 11 when Finlay, the faculty's assistant registrar, made the remarks. "Muslim organization says school discriminated against student"
A 10-year-old Muslim girl was repeatedly discriminated against at school because of her religion, the Council on American-Islamic Relations said Wednesday. The organization served a discrimination complaint to Pine Forest Elementary School of the Arts on behalf of cello player Alana Scott. The group said the school and a music teacher penalized Scott because she is Muslim. The girl was also banned from participating in a music concert with other schools because she was wearing a traditional head scarf or hijab, CAIR said. Editorial: "No place in Oxford for racist thugs"
Oxford has a long tradition of welcoming people of all nationalities and religions. Some have made their homes here, and the city has become richer with their presence. So it is with great regret that we report today the cowardly attack on Sikh Rattandeep Singh Ahluwalia. He was standing at a bus stop in Queen Street at midnight on Sunday, minding his own business, when one man shouted and swore at him, pulled off his turban and threw it on the pavement. Then, as he struggled to defend himself, another man waved his fists in his face and shouted racist abuse. Mr Ahluwalia thought Oxford was the best city he had lived in, and one of the safest in the world. Not surprisingly, he has changed his mind. He is now afraid to go out alone late at night. Up to 40 people were in Queen Street at the time of the attack. A Sikh man was verbally abused by two racist thugs and had his turban torn off while up to 40 onlookers stood by and did nothing. The attack on Rattandeep Singh Ahluwalia in Oxford city centre comes a day after 19-year-old student Tom Grant was stabbed to death on a train after going to somone's aid. Mr Ahluwalia was waiting at a bus stop outside HSBC bank in Queen Street at midnight on Sunday when a man started swearing and shouting racist insults at him. The stranger grabbed hold of the 26-year-old's turban a traditional head-dress worn as a sign of devotion to God and threw it on the pavement. As Mr Ahluwalia struggled to defend himself, another man waved his fists in his face and also shouted racist abuse. The former student, who was heading home to Whitson Place, Cowley, after a day of praying in London, was shocked none of the people around him tried to help. GRAVESHAM has one of the largest proportions of people from ethnic minorities in Kent 10.5 per cent of its population. The Sikh population, which makes up nearly seven per cent of the community, is the second highest in the south east. And the borough is well-known for its harmony between religious faiths. News Shopper is taking an in-depth look at each religious group in Gravesham. In a series of weekly features, we will take a look at each faith group and its involvement in the community and with other religions. Integration, at least as it is seen from the perspective of Muslims living in the West, is often about denying or even abandoning half of ourselves. But that other half of us is an indivisible part of our existence, wherever we live. There are hundreds of thousands of people in the UK who want to believe that “I am Muslim and British” should not become a sentence that is ever harder to say, or at the very least that it should be a sentence that does not evoke a lingering sense of doubt in their non-Muslim fellow Britons. There have been genuine attempts to understand “why”. But I don’t see much that reflects the hopes and views of my nieces, uncles, cousins who have made their homes in Britain. There is barely a glimpse of that often hidden part of British society that is undergoing significant and vital change that will come to have a lasting impact on this country. As in every war, you have to know who your enemies are, why they are your enemies and what you need to do to defeat them. But you also have to realise who you friends are. Muslims like myself ask whether you know who among us are your allies? Are all of us suspect? If not, then who is on our side? "Sikh community fights prejudice, violence"
more of the Sikhs' involvement with law enforcement has been because of harassment against the Sikh community from individuals outside it. In March, vandals spray-painted swastikas and racial slurs on the outside walls of the Stockton temple. People also regularly throw stones at the temple windows, according to Amrik Singh Dhaliwal, who said his mailbox is vandalized on a regular basis. He guessed the vandals target it because they erroneously associate his name and the religious symbols that hang beside the box with terrorism. "Some people see the beard and they try to fight," associating Sikhs' facial hair and turbans with images of Muslim terrorists, even though Sikhs are from India, he said. "We say nothing, because we don't want to cause trouble," added his wife, Gurbaksh Dhaliwal. "These kids (who vandalize their mailbox) know nothing...."
Since 2001, the community has organized cultural festivals and made other efforts to show the rest of the city who they are to reduce discrimination based on appearance. "The Sikhs haven't done anything in response except try to educate," Kapany said. "If you look at the history of the Sikhs in the U.S., there has been very little violence." The rare acts of aggression from inside the community have the potential to throw off this delicate balance. "We want to establish a certain identity, and by having this type of violence, we can't do that," Dhillon said. A recent article by Zee News discusses Harvinder Kaur's struggle for justice. She lost her husband and other relatives in the 1984 anti-Sikh pogroms; on April 29, a Delhi court finally began recording evidence. When Harvinder Kaur initially attempted to file a FIR twelve years ago, the East Delhi police refused to register it. The FIR was finally registered in 1996, and named six people including the late Congress leader HKL Bhagat. He was later discharged from the case for lack of evidence. Based on Harvinder Kaur's affadavit, the Jain committee recommended the registration of the case. The court began recording Harvinder Kaur's statements on April 29. Five Congress workers have been charge-sheeted for the killing of her husband, her son, and her son in law. In her deposition, Kaur said she was witness to the incident in which a mob, allegedly led by local congress leaders, stabbed and hacked to death with swords three members of her family on November 2, 1984. The delays and problems with prosecution that Harvinder Kaur experienced are typical of cases relating to the 1984 pogroms. Her testimony also demonstrates the role Congress party politicians had in organizing the violence, and how delays in filing FIRs and other tactics prevented the prosecution of perpetrators. Twenty Years of Impunity: The November 1984 Pogroms of Sikhs in India reveals the systematic and organized manner in which state institutions, such as the Delhi Police, and Congress (I) officials perpetrated mass murder in November 1984 and later justified the violence in inquiry proceedings. The report demonstrates that police officers not only passively observed the violence, but also actively participated in the attacks and made promises of impunity to assailants. The report also examines the role of the Congress Party in organizing the massacres, delivering inflammatory speeches instructing attendees to kill Sikhs, and distributing weapons, money, and voter lists identifying Sikhs and their properties. Grave lapses in police investigations, delays in filing cases, the failure to identify and investigate prosecution witnesses, the deliberate misrecording of witness statements, and the failure to comply with legal procedures precluded effective prosecutions against major perpetrators. In other news related to the 1984 pogroms, Rs 26 lakh in compensation was paid to families of victims of the 1984 pogroms on April 24. Mr Amarjit Pal, SDM, gave cheques to 13 kin of the victim of riots. A sum of Rs 2 lakh each was given to the victim families. Mr Pal said another Rs 14 lakh would be distributed among the families of the riot-hit soon. "German High Court Curbs Database-Mining"
Trawling databases to profile potential terror suspects is illegal except in specific cases of ``concrete danger,'' Germany's highest court ruled Tuesday in handing a victory for a Moroccan student. The student, whose name has not been made public, sued a German state after the Sept. 11, 2001, attacks to stop it from mining university and government databases to identify Muslim students between the ages of 18 and 40. The court ruled that random data trawling was legal only in the event of a specific danger, rather than a broad, elevated threat. ``A general threat situation of the kind that has existed in regard to terrorist attacks continuously since Sept. 11, 2001, or foreign policy tensions, are not sufficient to order data profiling,'' it said in its ruling. Coordinated profiling for potential suspects was introduced by states across Germany after Sept. 11, when it emerged that three of the suicide pilots who flew planes into U.S. targets had lived and studied undetected in Hamburg. Authorities scanned for ethnicity, religious background and other information in records that would normally be off-limits under privacy laws. Ingo Wolf, the interior minister of North Rhine-Westphalia, the state sued by the plaintiff, said the new limit would not harm anti-terrorism efforts. The experience shows that ``terrorists cannot be caught through data profiling,'' Wolf said. "Vandals Shatter Front Door Of Milpitas Mosque"
Vandals shattered a $350 front door of an Islamic mosque in Milpitas this week but police say so far they have no evidence indicating it was a hate crime. Visitors who came to attend an early morning prayer discovered the smashed glass front door at Masjid Dar Al-Salaam, located at 90 Dempsey Road, around 5 a.m. Tuesday. Milpitas police Detective Peter Prolo said today police found no graffiti, notes or other evidence to suggest the mosque was targeted in a hate crime. Yet, the San Francisco Bay Area Chapter of the Council on American-Islamic Relations (CAIR) is concerned about Bay Area Muslims being singled out in hate crime-related attacks because of such incidents being reported recently across the nation. "ACLU seeks FBI records on monitoring of Islamic groups"
Six groups, including the Anaheim-based Council on American Islamic Relations in Southern California, filed a Freedom of Information Act request Monday asking about suspected law enforcement monitoring of Islamic religious institutions. [Ranjana Natarajan, the attorney handling the matter] said worshippers at mosques have been asked what their imam is preaching, where they go and what they do on pilgrimages to Mecca, and for details about religious practices. "People are asking me if it is safe to worship. People began to worry that maybe there is something wrong with going to the mosque," Natarajan said. "So they need to know, is there monitoring going on and, if so, why? If there is monitoring, can we assure people it is not just their religion that is being targeted, that there are other reasons?" CAIR wanted the records request filed on the belief that no person or organization should be monitored because of peaceful religious practice, Khan said. There must be a legitimate probable suspicion of illegal activity, she said. "Domino’s Pizza Affirms Sikh Employee’s Right to Wear Turban at Work"
The Sikh American Legal Defense and Education Fund (SALDEF) successfully resolved the issue of a Sikh American gentleman who was disallowed from wearing his daastar – or turban -- while on the job working as a pizza delivery driver for a Domino’s Pizza franchise in Maryland. Jaswant Singh was hired in 2005 as a Domino’s Pizza delivery driver. Shortly after the start of his employment, he was asked to remove his turban and wear a Domino’s-issued baseball cap. . . .
"Sikh Crime Victim with a Cruel Choice"
Simran Singh felt a bullet fly past his ear. He had just turned his head to answer a passenger’s question. Simran (name changed to protect his identity), an undocumented immigrant, works as a cab driver in New York City. Like most Sikh cab drivers, Simran kept flyers in his cab during the weeks after 9/11. The flyers stated that Sikhs had nothing to do with the attacks on our country. They said Sikhs love America. For Sikh cabbies the flyers were a form of protection. Sikh cab drivers heard taunts and jeers from passengers accusing them of being terrorists after the 9/11 tragedy. Customers asked cab drivers why “their people” had attacked “us.” In Queens a Sikh’s cab was set on fire. Simran hoped the flyers would protect him from taunts and violence. He kept extra copies in his cab to hand to passengers. He even laminated and posted one on the back of his seat facing his passengers. None of this saved him from violence or a cruel choice. On September 30, 2001 Simran Singh was driving his cab. As he waited at a traffic light that night on 57 th Street between 2nd and 3rd Avenue, a customer asked a question. As Simran turned to answer the question, a bullet passed close to his left ear. The person who shot at him drove quickly away. In a state of shock, Simran pulled over. His passenger ran out of his cab. He saw a bullet hole in his window. Simran’s life may have been saved by his passenger’s question. If he had not turned his head, the bullet would have hit the left side of his face. Simran did not know who shot at him. He was just happy to be alive. Simran contacted the Sikh Coalition requesting its assistance. He told the Coalition that he had filed a police report but that the officer who took his report was rude and did not take him seriously. Simran hoped that pressure from the Sikh community would compel the police to thoroughly investigate the shooting. As an undocumented immigrant, Simran ran the risk of his undocumented status being discovered by the police if he pursued this matter vigorously. In New York City, hundreds of immigrants had been rounded up by federal immigration authorities in the weeks after 9/11. There was a chance that local police would reveal his undocumented status to federal authorities. Simran had a cruel choice to make: either vigorously push the police to pursue the man who shot at him and risk his undocumented status being discovered or stay silent and remain in the United States. Simran understandably chose to stay silent. But the Sikh community and its fight to end hate crimes suffered as a result. America also suffers. A man with a gun still roams the city’s streets. Newsday Editorial: "Don't see terrorism in Sikh turbans"
"The price of freedom is eternal vigilance," said Thomas Jefferson. But the price of eternal vigilance in the post-9/11 era, sadly, seems destined to include too many painful cases of innocent people being suspected of terrorism. The latest example was a Sikh man who fell under suspicion last week, simply because he discarded trash at a community center, while wearing the turban that his religious belief dictates. The story is not without its complications, but the simple truth at its core is this: The man regularly uses the exercise facilities at a Jewish community center in Plainview, and he has also taken wedding photographs there. But a woman saw him drop trash into a can on his way into the building, and she asked a security guard to check for a bomb. To his credit, the guard refused, because he knows the man. The guard says his refusal cost him his job. His bosses say no. This cautionary tale offers proof that vigilance can too easily descend into something like profiling. No one should make assumptions about Muslims and terror. That's unfair. But suspicions of Sikhs are just as indefensible. In India, Muslims and Sikhs were once rivals, but now live in peace. Still, they're not the same. So, for a Sikh to be suspected of terrorism, because some Muslim foes of the United States (such as the ayatollahs in Iran or Osama bin Laden) also wear turbans, is doubly unfair. Yet it keeps happening. "Long Island: fear of turbans"
Indian immigrant Jaspal Arora, a religious Sikh, wears a turban everywhere he goes, including to morning workouts at the Mid-Island Y Jewish Community Center in Plainview. On Thursday, his turban apparently sparked suspicion by one patron, after Arora tossed a bag of garbage into a trash can on his way into the building. Now, a security guard who worked at the Jewish center on Manetto Hill Road is out of a job, after refusing a member's request to check the trash can for a bomb. "I said this is nothing but a racist thing," said the guard, Stephen Ardell of Bethpage. "And that is when they told me to get my stuff and get out." Susan Tregerman, an assistant director at the center where Ardell has worked for two years under contract with a security firm, denied that he was fired and characterized the episode as a misunderstanding. "There was no bomb scare, there was no one fired," said Tregerman, who declined to comment further. Surjit Mann, who wears a turban to cover his uncut hair in accordance with his faith as a Sikh, remembered how torn he initially felt. "It's my only son," he said. "It's not an easy decision, especially when people think you are a terrorist" because of the turban and beard. "Sikh grandmother deserves more than this"
It's hard to beat a morning walk. The cool air, the freshness of spring and the topper, getting pelted in the back by half a roll of duct tape. Hate crime or the idiot factor? You decide. Parmjit Kaur Pannu was taking her daily walk in her neighborhood close to the intersection of Hosking and Akers roads, near Ridgeview High. The 63-year-old Pannu is a Sikh and was dressed in traditional Punjabi dress, a kameez -- a long shirt called a salwar -- a pajama looking bottom and a chunni, a long scarf, worn over the shoulder. She lives with her husband Avtar Pannu and her son Jaspal Pannu and his wife and young family. Her son Jaspal drives a truck for Frito-Lay. Avtar, her husband, works at Grimmway Farms. They've been in Bakersfield for 21/2 years. Tim Everton, a neighbor of Pannu's, saw her get pelted by the duct tape. "She was about to turn the corner of the street we live on when a shiny red pickup slowed to allow the passenger enough of a chance to pitch an object at her and hit her in the back (it turned out to be a roll of duct tape) and also to allow this old woman, and anyone else present, to hear the stream of obscenities being hurled," Everton wrote. "The 'crime' she was committing was relishing in the beautiful spring day in Bakersfield and maybe enjoying her life, liberty and pursuit of happiness a bit too much in the eyes of those rogues. Or perhaps it was the darker skin and the sari over her shoulders." Everton called the police. They came and took a report, but told him they couldn't do anything unless Pannu wants to pursue it. She doesn't. She just wants to be able to take a morning walk without getting hurt. "The incident shook my longstanding belief in the innate goodness of man," Everton writes. "This shouldn't happen here in southwest Bakersfield or anywhere else in this city, state, or in this country." Her son Jaspal said he knows many Indians to whom something similar has happened. People throwing beer bottles, yelling and cussing. It's education, or the lack of it. Usually, the more you know about somebody, the more you understand and the less you hate or fear. At least, it sounds good. There are more than 25,000 Sikhs in Kern County, according to Nazar Kooner, a local farmer in Arvin. Many of the Sikhs (Sikh means student) came here in the early '80s to work in the carrot fields at Bolthouse and Grimmway. Word of mouth brought friends and family from New Jersey and New York. If you ever wondered why so many Sikhs are named Singh, which means lion, it's because Singh was the name of an important Sikh leader who told fellow Sikhs to fight back when attacked. "What happens is that Sikhs are frequently misidentified as Middle Easterners," Kooner said. "India is 6,000 miles away from Iraq. We think differently and have absolutely different cultures. We are not those bad terrorists." " Novelist reveals what life is like for a teenage girl under the hijab"
Most novels aimed at teenage girls deal with first kisses, friendship and problems with parents. But a new book to be published later this month will tackle the thorny issue of wearing the hijab, in one of the first novels to portray the experiences of a Muslim girl growing up in a Western society. "Does My Head Look Big in This?" is the story of Amal, a 16-year-old Australian Muslim girl who one day decides out of the blue that she wants to wear the hijab at her secondary school. Her decision shocks her parents and friends but gives her a sense of inner calm and conviction. 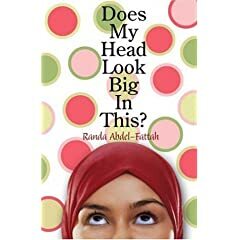 The author, Randa Abdel-Fattah, 26, a lawyer from Sydney, based the novel on her own experiences as a teenager growing up in Australia where she wore the hijab between the ages of 14 and 17. "Some fear "United 93" could stir up anti-Islamic sentiments"
At the United Muslim American symposium in Newark, Muslim-American leaders discussed the rhetoric regarding Iran, the war in Iraq, and the image of the United States in Islamic countries. But some also expressed concern that "United 93," a new film about the last moments of the last hijacked plane to crash on Sept. 11, 2001, could stir up anti-Islamic sentiments. Safaa Ibrahim, executive director of the Council on American Islamic Relations, took her staff of four women wearing a hijab, the traditional Muslim head scarves, to a Thursday matinee. As a civil rights advocate, Ibrahim said, she wanted to see the movie after reports that several young Muslim-American women in Arizona were verbally assaulted by two people who said they had seen the movie recently. With all the young filmmakers in town this week holding court after screenings of their work, you could get a free education on what it takes to carve an independent path in this competitive industry. "Khalsa College to be set up in France"
"Man's lawsuit against jail claims religious discrimination"
"He (Ghavami) lost a third of his body weight," said attorney Scott Medlock with the Texas Civil Rights Project. Medlock said Ghavami was beaten, humiliated and held down by two guards, while the guards ordered an inmate to shave Ghavami's head and beard. Acclaimed short film about a Sikh American family after 9/11 premieres on PBS' Independent Lens starting May 9, 2006. American Made ( http://americanmadethemovie.com ) is a story about a Sikh American family in the aftermath of 9/11. When the Singh family's car breaks down in the desert, Ranjit tells his father that no one will stop to help because "he looks like a terrorist." What follows is the heart-rending struggle between a father and son and a larger exploration of faith, tradition, acceptance, and what it means to be 'American' today. Told with humanity and humor, American Made has won seventeen awards from film festivals around the world. It will likely be the first fictional film about Sikh Americans post-9/11 on national television. Starring Kal Penn, Bernard White, Te'Amir Sweeney, and Sakina Jaffrey. Director Sharat Raju's next project is a full-length documentary film Divided We Fall: Americans in the Aftermath (http://dwf-film.com) to be released in Fall 2006. TUNE IN… Find Your Local Station! My friend and I grabbed a cab to go home and, as fate would have it, our driver was a turbaned Sikh. As we disembarked on the wrong side of Central Park because all the transverse roads had been closed for emergency vehicles, my friend quipped that we should consider ourselves lucky that our driver hadn’t crashed the cab into Butler Library. Yet when I pressed the fare money into our driver’s hand, it was clearly shaking—as if he had already anticipated the petty bigotries that would be directed at the completely guiltless Sikh population in the confusing days that followed. "Anti-terrorist experts" gathered in London to explore "the puzzle that will help us better understand what determines and motivates the actions of individual jihadists:"
"I believe the psychological profiling of Islamic terrorists is a complete waste of time," he said. "It will not work. It means different things to different people and there is the wrong assumption that if we can identify the traits of known terrorists we can move into predictions. "The terrorists are not a homogenous population and we simply do not understand why some move from legal activities to illegal." "Too much is based on a limited range of people and we are seeing only the tip of the iceberg...."
"Psychological profiling is beguiling," he said. "Social profiling, looking at the social background, is more useful. Despite Dr Horgan's comments, there was a good deal of profiling on display at this conference. Petter Nesser of the Norwegian Defence Research Establishment had analysed the London suicide bombers and came up with a typology, which, he said, provided important lessons. Why Not to see "United 93"
The effect the film could have on Arab-Americans, though positive because it is explicative of a problem the United States, is still a very real possibility. If this film reminds just one person that they should be afraid of the fellow flight passenger with a turban, then the “real” negative effects of the film have outweighed any positive theoretical ones. The kind of good that this movie will inevitably bring is not the kind the United States needs right now. These men and women on those planes were indeed heroes, with an unfathomable sense of courage and responsibility.